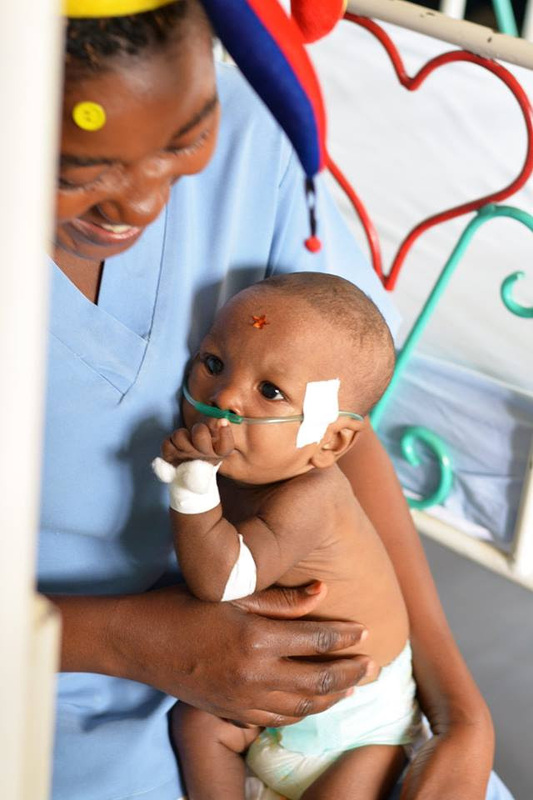 Learn about Whisper Magical Children’s Hospital in Uganda, where #NDR will be visiting badge-certified #NDR Outcome Driven Pediatrics nurses, and partnering to enhance healthcare on a global scale. Keep your eyes on this space, as well as our Facebook, Twitter, and Instagram, to keep up on our journey to Uganda from February 28th-March 10th! The nation’s health is run by nurses – and so is the health of the world. Interested in making a difference? Donate to Healing the Children’s Kentucky Chapter! Follow Our Journey to Uganda! Did you know that #NDR is headed to #Uganda? Galen Center for Professional Development, (#GCPD) will be working with Whisper, a charitable organization making a difference for children through the Whisper Magical Children’s Hospital, in Jinja, Uganda. Below, find the February Newsletter from Supplies Over Seas for more information. We will be visiting Uganda with nurses who are badge-certified in the #NDR Outcome Driven Pediatrics Competencies. Keep your eyes on this space, as well as our Facebook, Twitter, and Instagram, to keep up on our journey to Uganda from February 28th-March 10th! The nation’s health is run by nurses – and so is the health of the world. ‌Delivering a World of Health and Hope. Our second container shipment of the year is on its way to Uganda! Over the years, we have supplied short-term mission teams that work across the country but this month we sent our first 40′ ocean-going container to Jinja, Uganda! and he died soon after arriving in Louisville. Rebecca Dixon, Patrick’s host mom in Louisville, vowed that no child from Jinja should suffer from a lack of medical care. Working with Debi McDonald, one of SOS’s longtime partners and Executive Director of Louisville’s Healing the Children chapter, Rebecca pulled together a coalition of advocates to send supplies and equipment to Whisper’s Magical Children’s Hospital in Patrick’s hometown. As we loaded the container at SOS headquarters, it was a celebration and a recognition that one child’s heartbreaking story can lead to the hope of medical treatment for an entire community. 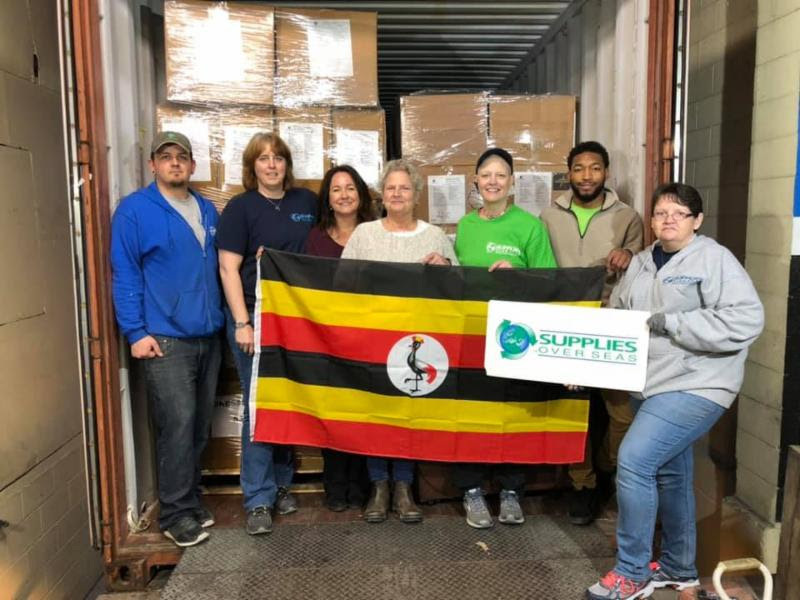 Members of the Greater Louisville Medical Society Alliance’s mission team and Galen School of Nursing plan to make two medical mission trips to Jinja once the container arrives. We will be sure to update you on the stories of lifesaving treatment these supplies will bring! SOS would like to thank Mercy Health Anderson, Baptist Health Paducah, Norton Healthcare and Hardin Memorial Hospital for donating the equipment that was included in this container. Debi McDonald (third from left) and Rebecca Dixon (center) with the SOS team after loading the container. Last fall we sent out a container bound for the North African country of Mauritania. The supplies reached their final destination just before Thanksgiving and the hospital staff just sent an update to the SOS team! 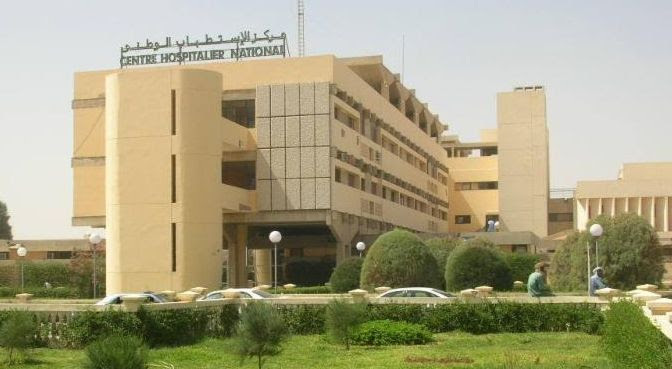 The supplies and equipment are being used in a neonatal clinic inside the Centre Hospitalier National (pictured). We sent labor and delivery equipment as well as bassinets and infant warmers to ensure safe deliveries for mothers from the surrounding area. We will update you with more stories as the team on the ground puts our shipment to use! January was a busy month for the mission teams we supply around the world. In the first six weeks of 2019, we have already sent supplies 8 countries! Below are highlights from two separate teams that traveled to Honduras. The first team we supplied is from the First United Methodist Church in Frankfort, Kentucky. During their annual trip to Honduras, the mission team saw over 1,000 patients in 10 days working in the town of Tegucigalpa! 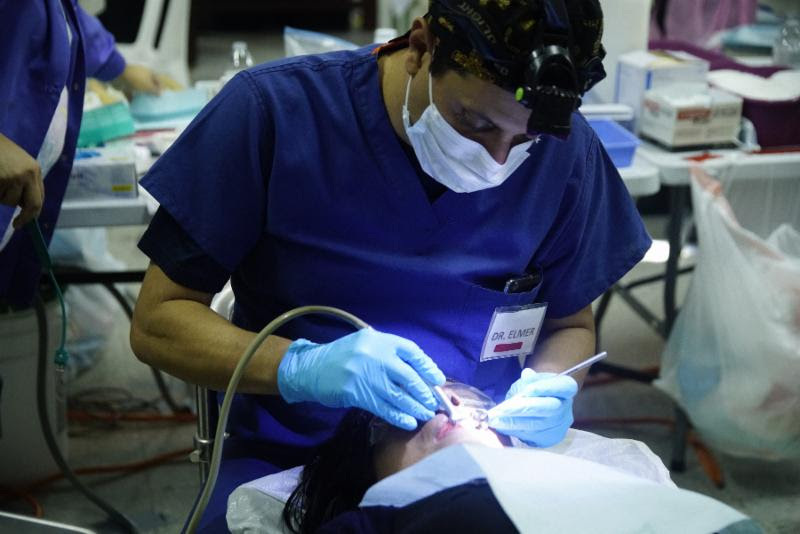 Working in the local dental clinic, the team performed routine cleanings, extractions and fillings. Another team we supplied in Honduras was a group of doctors and nurses from Cincinnati’s TriHealth. 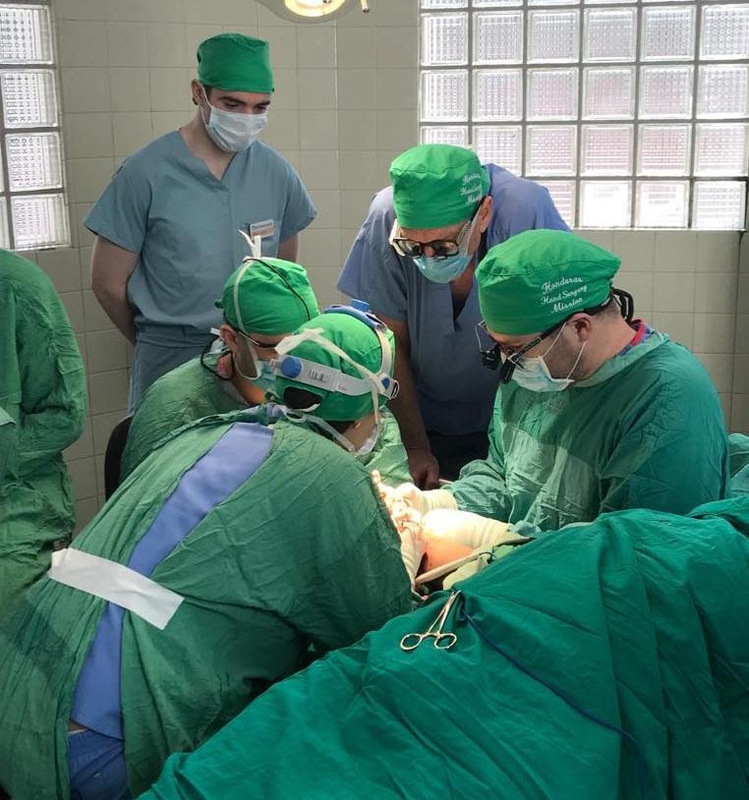 Hand surgeon specialist Dr. Peter Stern and a team of nurses spent the week at San Felipe Hospital performing a variety of procedures. One of the nurses on the team visited SOS before the trip to pack suitcases full of dressings, sutures and gloves. Even at an established hospital in a city center, it can still be difficult to find routine items. As our mission video states, hope can be found in something as simple as a box of surgical gloves. The work you read about every month cannot be accomplished without our volunteers! Every day we have amazing groups of people who give their time and energy to help us accomplish our global mission. If you, your church group, students or friends and colleagues would like to volunteer with SOS, send an email to volunteer@suppliesoverseas.org to get more information! Louisville-based Elite Home Builders stopped by SOS headquarters to present a $1,000 check to support our mission! 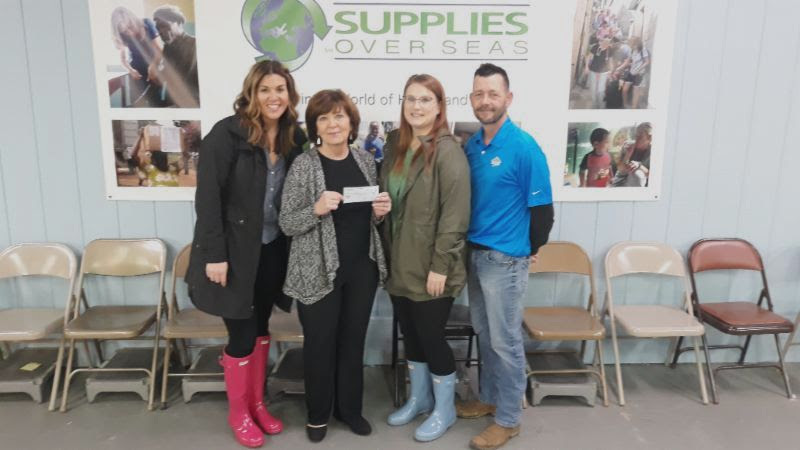 After volunteering at SOS in college Gretchen Fraze, an employee from Elite Home Builders suggested a corporate gift to support our global health initiatives. Thank you to Brad Campbell and Meghan Roppel for you donation! Supplies Over Seas (SOS) is a Louisville, Kentucky-based nonprofit organization that meets critical health care needs in medically impoverished communities around the world by collecting and distributing surplus medical supplies and equipment. 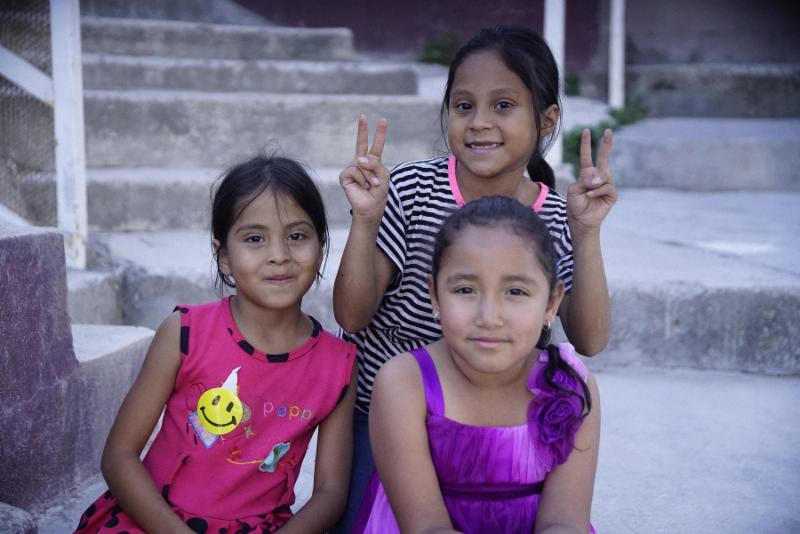 These stories of Health & Hope can not happen without your support.